Rich and robust, this full-bodied brew pours midnight black with a dense espresso coloured head. 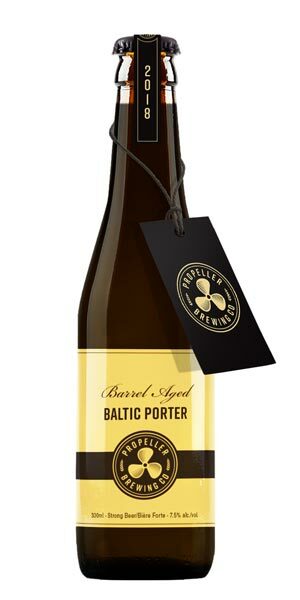 Intense dark chocolate, dark fruit, and coffee flavours and aromas are balanced by hop bitterness with a warming finish. Brewed with Propellers award-winning Revolution recipe.